Men Stylish Warmest Soft Ankle Casual Leather Shoes - DEEP BROWN EU 43 w cenie $22.56 | Chińskie kupony rabatowe, zniżki i okazje! 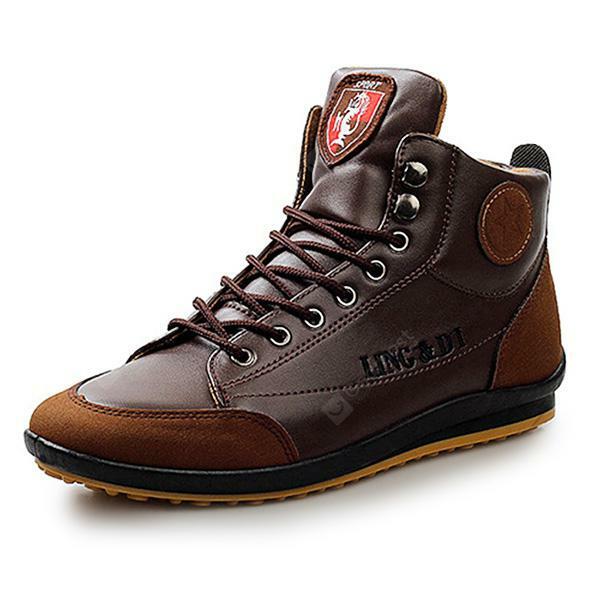 Men Stylish Warmest Soft Ankle Casual Leather Shoes – DEEP BROWN EU 43! Teraz w promocyjnej cenie $22.56 Cena regularna to: $25.92, zaoszczędź i skorzystaj z kuponu na gearbest! Informacje o dostawie: Ship between: Feb 18 – Feb 20, Estimated Shipping Time: business days Order Processing Time may require a few days. Once dispatched from warehouse, Shipping (or Delivery) Time depends on the Shipping Method. A must-have retro-style in your shoebox. Focused on the super-soft PU upper and sole, plus leather lining, the thicken shoe just give your feet all-around softness. So it is perfect for your any indoor and outdoor activity, literally.